This informative book introduces the problem of languages going extinct. 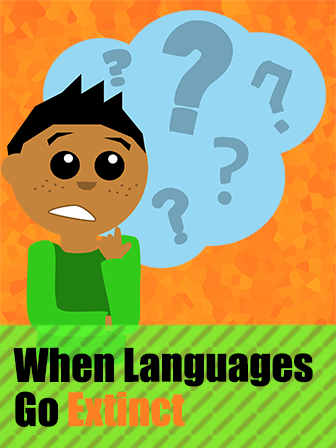 It is discussed in great detail and covers many things to consider such as a dead language versus an extinct language, why and how languages die and go extinct, rates of extinction, examples, and efforts to save languages, too. By reading this book, students will not only learn a lot about this existing issue, but also will develop a greater care for languages and keeping them alive.